ROOM 14 LEARNING JOURNEYS: Our Teaching and Learning is Moving at the Speed of Light!! Our Teaching and Learning is Moving at the Speed of Light!! Meet our new class members - yes, they do have names! 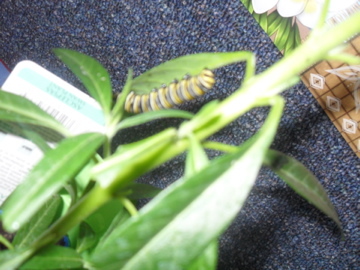 I wonder just how many caterpillars / butterflies we're going to end up with!!!! Wow!!! How fast is our learning moving team!!!! You've now kidnapped my camera for the class which is fantastic because you're using it all the time to photograph and share your learning- what could be better than that. Use it all the time - just remember to charge it each day. We've got the Monarch Butterflies and I'm loving seeing how you are thinking like scientists when you're observing and making hypotheses about what happens during their life cycle. It's deeper than that though because you're observing everything so very closely - that's what fantastic scientists do. You're also starting to learn about Evernote and how we can use that to take notes when we're in our reading groups online - a great skill to have - more on that tomorrow. Our next step is to also have your modelling books for Numeracy online - it will be a great resource and you can always access it no matter where you are. eLearning - it's anytime, anywhere learning!!!! I can't wait 'til the catepillars turn into butterflies! 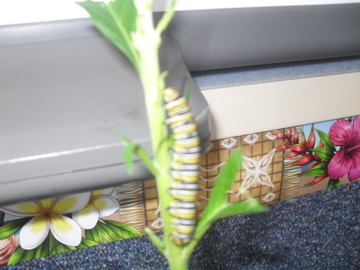 Having caterpillas in room 14 then turing into butterflys AWESOME!!!!!!!!!!!!!!!!!!!!! 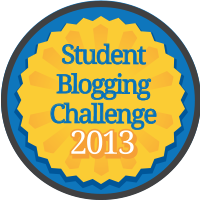 Our individual blogs show our learning and progress on a day-to-day basis. They are a record of our learning. This will mean that they are not always perfect, but this is what we are working towards. Please help us by celebrating our successes. We've only been using them for a few weeks, since the end of Term 3 2012. Keep an eye out on our learning over the next few months and see the progress we are making. These will continue as a record of our learning in 2013. We can't wait to share them with you! NeuroKids - a site about the brain developed by kids your age! Congratulations to Fabian and Jade!! EPALS CLUES - Or WHERE IN THE WORLD? ?